Home / Events / Woodward Lecture: Inequality in Health at Birth: Why is it Falling in the U.S.? Dr. Janet Currie, 2014 Woodward Lecturer at VSE. Dr. Currie is the Henry Putnam Professor of Economics and Public Affairs at Princeton University and the Director of Princeton’s Center for Health and Well Being. 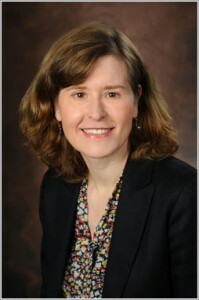 She is a member of the Institute of Medicine, a fellow of the American Academy of Arts and Sciences, the American Academy of Political and Social Sciences, and the Econometric Society, as well as past Vice President of the American Economic Association and incoming President of the Society of Labor Economists. She is on the Board of Reviewing Editors of Science magazine and on the editorial board of the Quarterly Journal of Economics. Her research focuses on the health and well-being of children including early intervention programs, expansions of public health insurance, public housing, and food and nutrition programs. Her current research focuses on socioeconomic differences in child health, environmental threats to children’s health, and the long term effects of poor health in early childhood. This lecture is free to members of the UBC community interested in health economics.